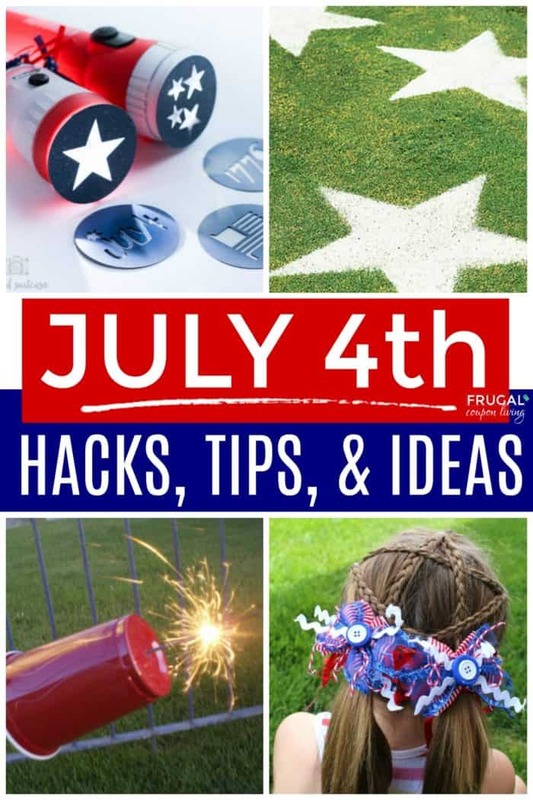 July fourth Hacks and Party Ideas – Red White and Blue Tips, Tricks and Hacks for the best independence day celebration. Since moving to DC, I have all the more patriotic for our country! I am grateful to live in a land of free, a land with diverse minds and thoughts, a country of cultures and acceptable difference. 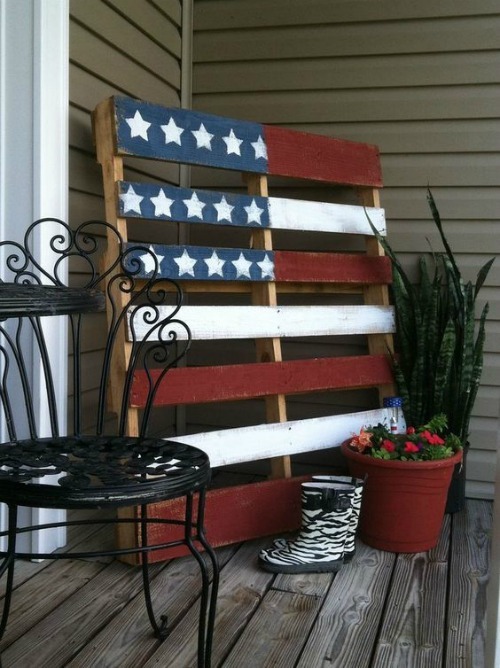 There is just something about the stars, stripes, and red white and blue! In the District there is a lot of festivity and fun going on July 4th. Following the festivity, there is a beautiful display of fireworks over our nation’s capital and monuments – you likely catch the event each year as it is telecast live. 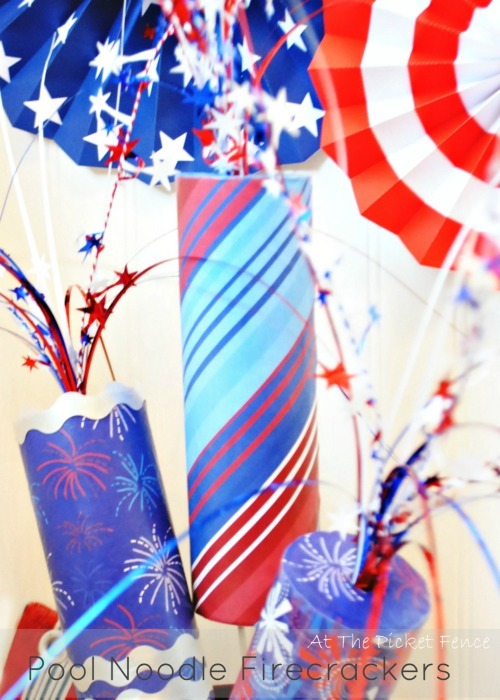 This Fourth of July I wanted to get together some tips, hacks and tricks for creating the perfect 4th of July party. 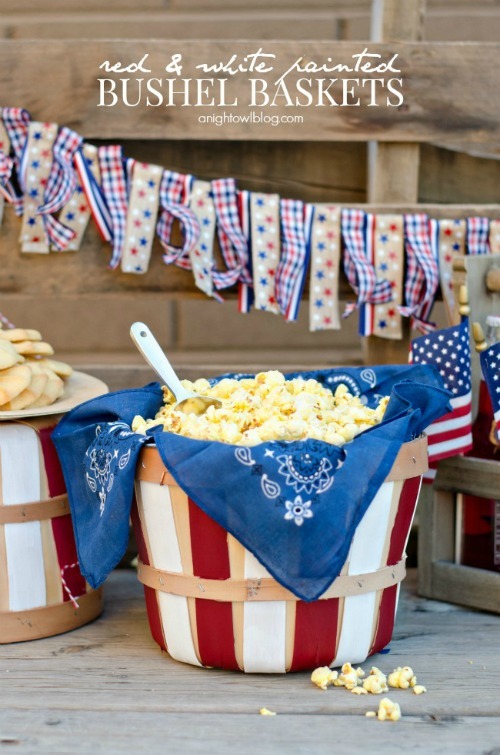 If it’s a neighborhood of 100 or just your small, quaint family in the backyard enjoy these tips to make your Fourth of July memorable, patriotic and full of fun! You have to be safe with fireworks. 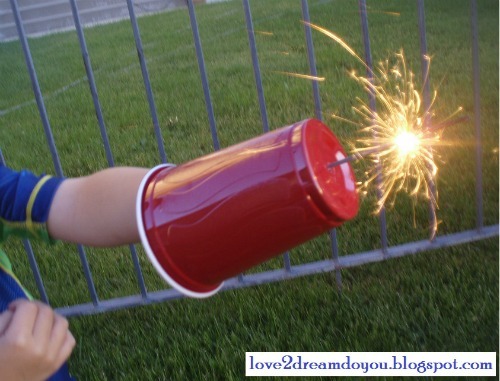 Use Red SOLO Cups to protect children’s hands from Sparklers. Idea from Love 2 Dream, Do You. Make a layered Red, White and Blue drink with this recipe from Eating on a Dime. Make it memorable! 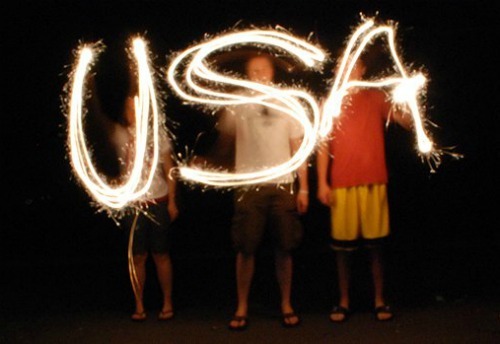 Take a look at how to make these Sparkler Photos! Love this idea from One Good Thing by Jillee. Have fun this fourth with some festive hair. 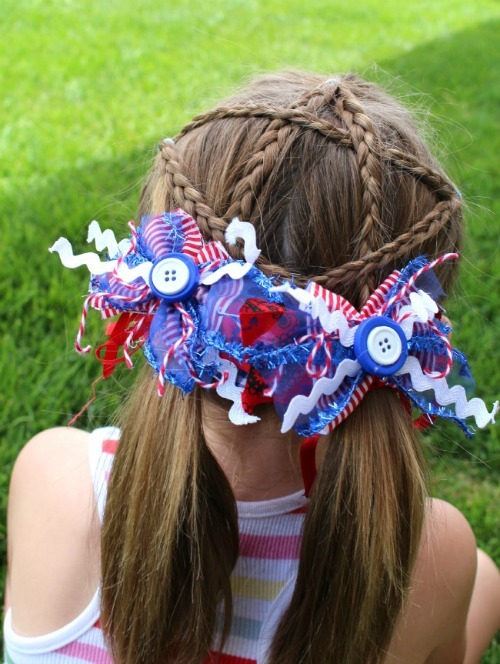 We love this little girl’s Fourth of July Hairstyle from A Girl and a Glue Gun. No one likes sticky hands. 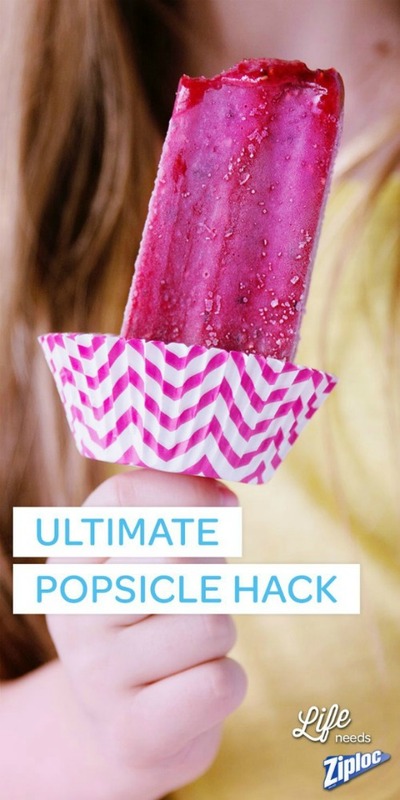 Check out this Ultimate Popsicle Hack using a cupcake holder from Ziploc. Decorate the grass. 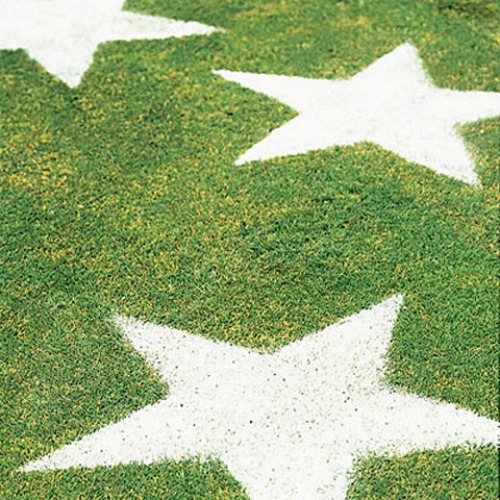 Stencil out stars in the lawn for festive and affordable decoration. Idea from Sunset Magazine. 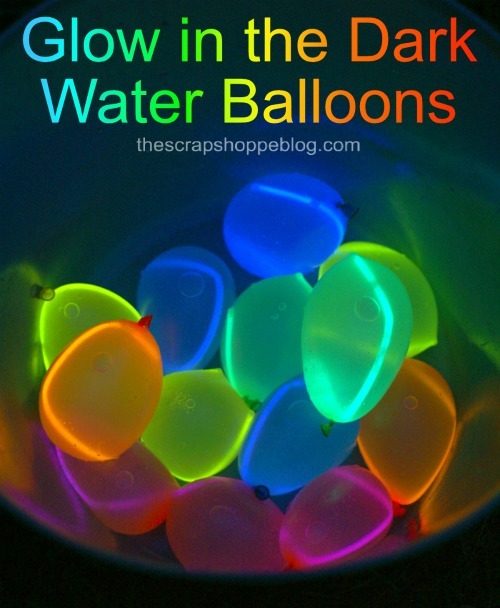 Have fun before the fireworks begin with these Glow in the Dark Water Balloons from The Scrap Shoppe Blog. 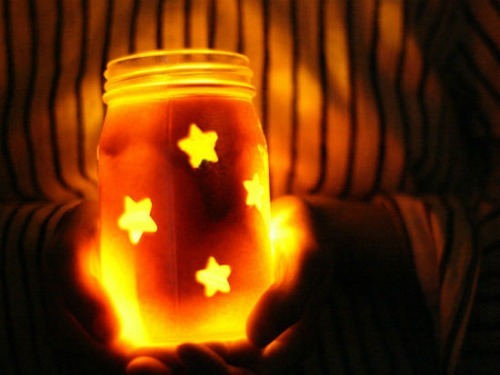 Make your own Mason Jars. 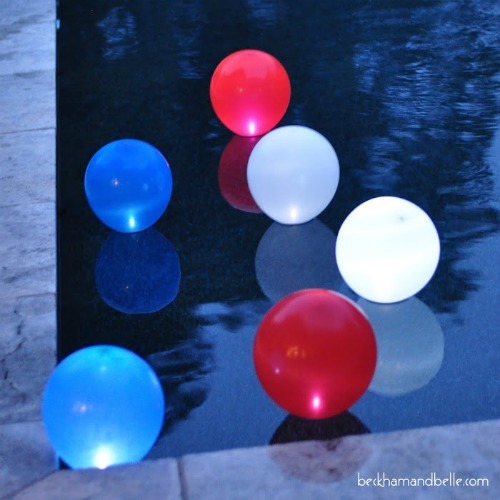 Take a look at these Fourth of July Lanterns with tutorial from Momtastic. We love this decorated walkway. 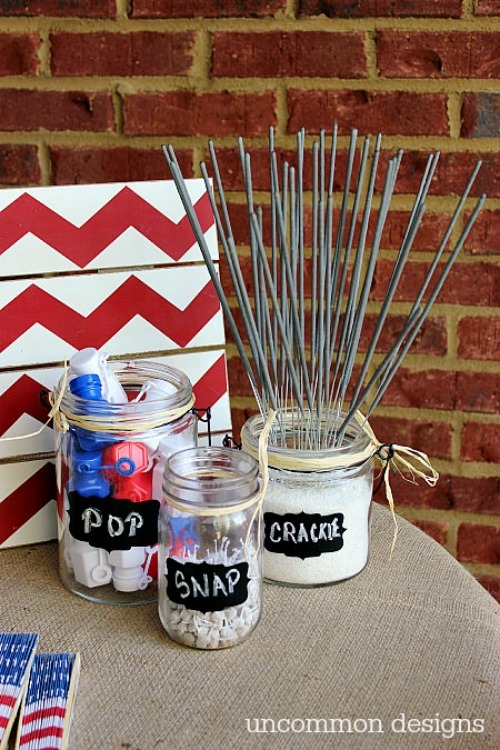 Grab this tutorial for these Patriotic Mason Jars from For the Love Of. 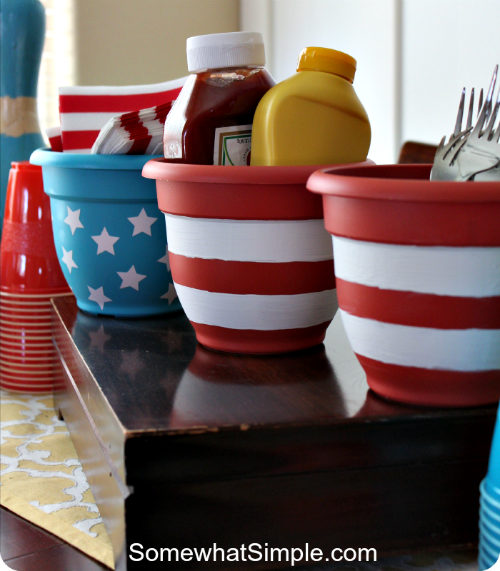 Snap Crackle Pop – We love this Fourth of July Party Station from Uncommon Designs. Light it up! Make your own Pool and Garden Orbs with this tutorial from Beckham and Belle. This is fun! 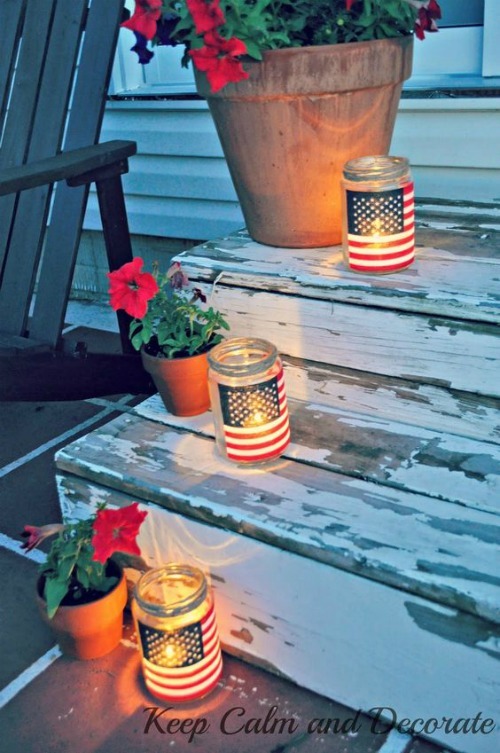 Turn these Easy plant pots turned into Patriotic decor. Perfect for BBQ condiment station from Somewhat Simple. Celebrate with more than fireworks. 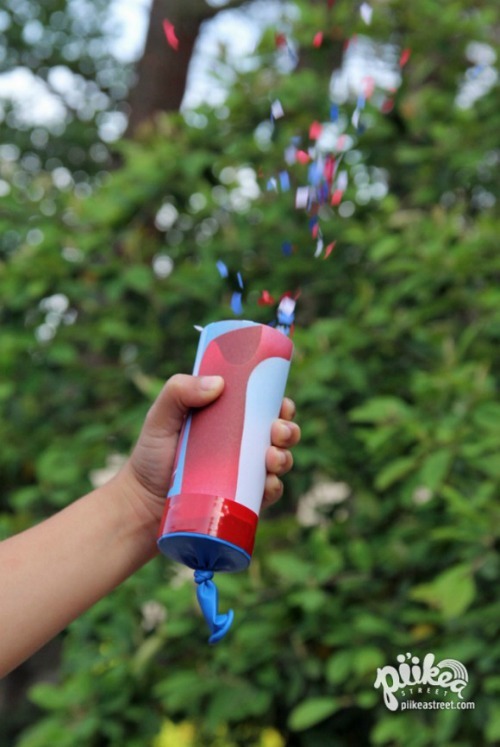 We love this DIY Tutorial for Confetti Launches from Piikea Street. 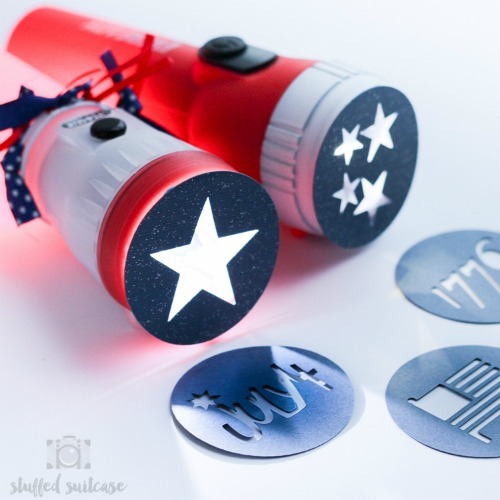 Also have fun making these 4th of July Flashlights from Stuffed Suitcase. Update your decor – a bushel basket can be painted for a theme too like this idea from A Night Owl Blog. 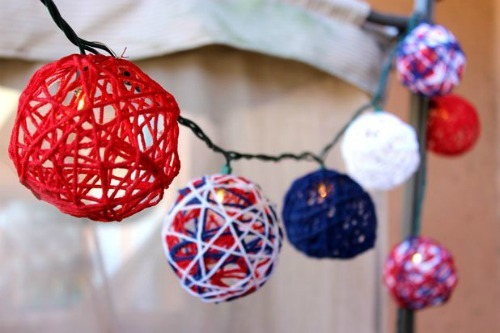 Enjoy these simple and festive Fourth of July String Lights from ehow. 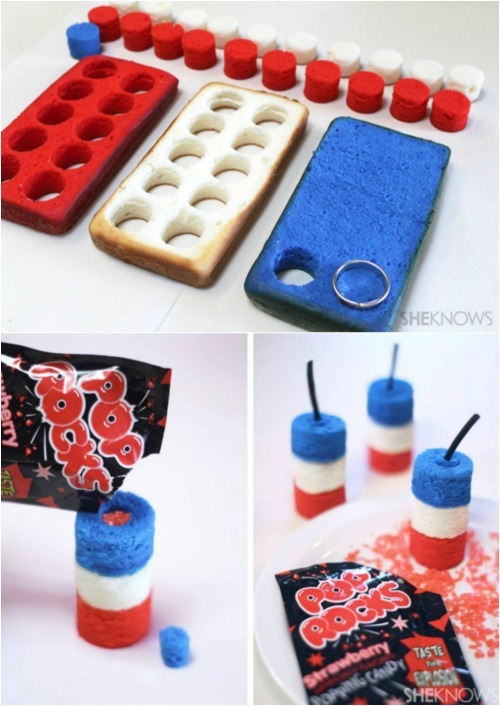 Create fireworks in your mouth with these Fourth of July Pop Rock Cake Bites from SheKnows. 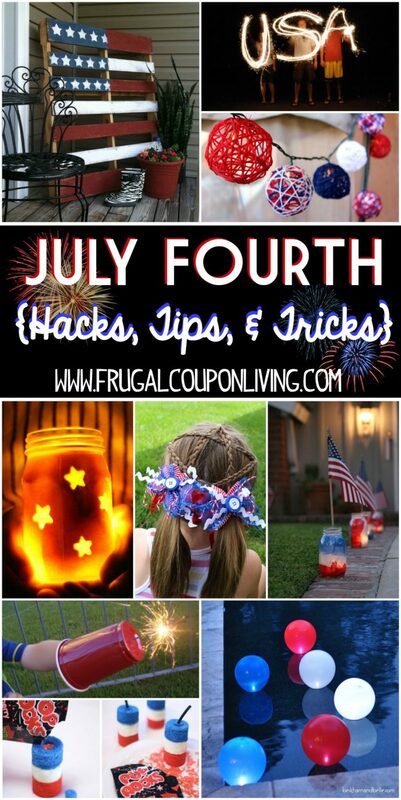 Turn a noodle into a firecracker with this idea from At the Picket Fence. 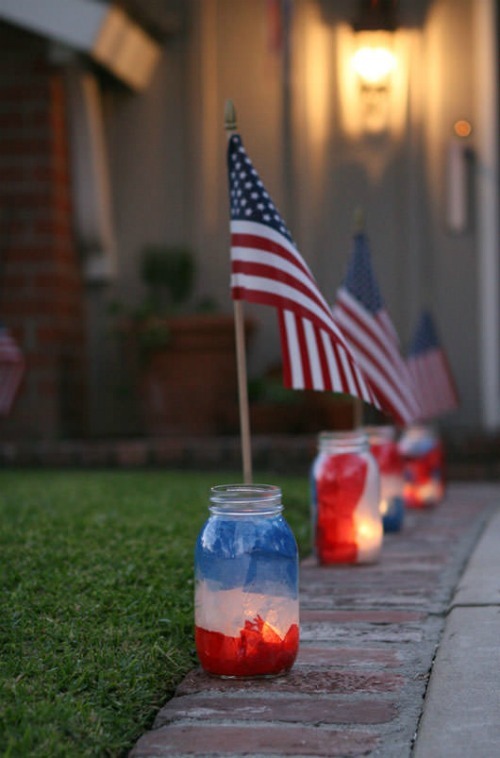 Repurpose Pickle Jars into Lit Fourth of July Luminaries from At the Picket Fence. 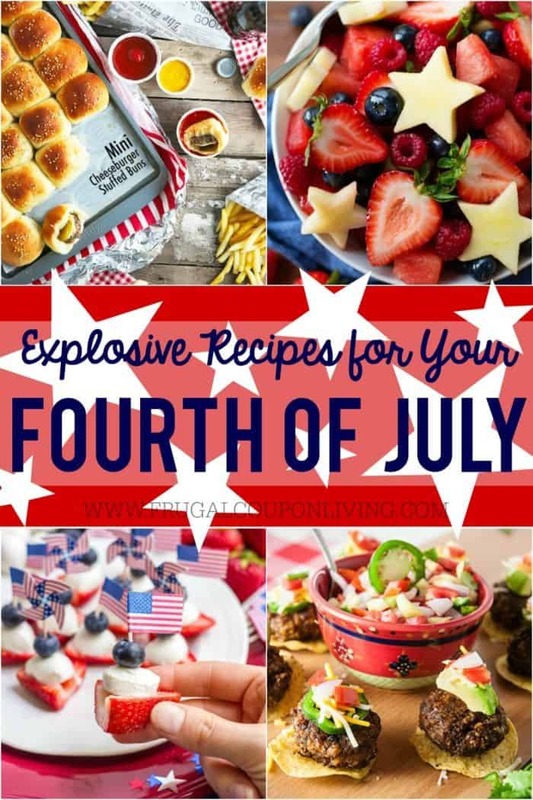 Also check out these Red, White & Blue Foods for your next Fourth of July Celebration. Pin to Pinterest.